Carlo : music for strings, sampler and tape / Brett Dean. Carlo ; Beggars and angels ; Ariel's music / Brett Dean. Voices of angels : and other string works / Brett Dean. Instrumentation: String orchestra (8 violins, 3 violins, 3 cellos, double bass), sampler, tape (CD). Program note: Brett Dean's "Carlo"
Article: Gesualdo heralds Huntington surprise / by Gil Wahlquist. 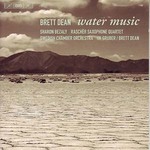 By Brett Dean performed by Orchestra d'Archi Italiana conducted by Richard Tognetti. Unknown date: featuring Sydney Symphony, The Song Company, Marin Alsop. 4 May 2017: at Metropolis #1 (Melbourne Recital Centre, Elisabeth Murdoch Hall). Featuring Melbourne Symphony Orchestra, Brett Kelly. 22 Mar 2016: at Norwegian Chamber Orchestra (Frogner Church (Oslo)). Featuring Tonu Kaljuste, Norwegian Chamber Orchestra. 16 Aug 2014: at Synesthesia+ (Museum of Old and New Art (MONA)). Featuring Tasmanian Symphony Orchestra. 21 Jun 2014: at In Praise of Darkness (Federation Concert Hall, Hobart). Featuring Tasmanian Symphony Orchestra, Anu Tali. 9 May 2013: at Ruthless Jabiru (Australia House). Featuring Ruthless Jabiru, Kelly Lovelady. 19 Apr 2013: at ASO: Icons (St Peter's Cathedral (North Adelaide)). Featuring Adelaide Symphony Orchestra, Benjamin Northey. 10 Nov 2011: at Stockholm Composer Festival (Stockholm Concert Hall (Konserthuset)). 5 Dec 97: Huntington Winery, Mudgee, NSW. Featuring Australian Chamber Orchestra, Brett Dean.